How much music theory do you know? After rediscovering this website and remembering how much fun I had staying up until 11:30 at night finding out which Pokmon or Vampire Diaries character I was so many years ago, I decided to contribute to this site with one of my own fields of interest. 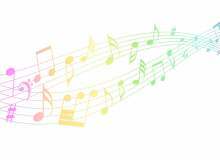 This quiz consists of basic music theory, regarding chords, scales, chord functions, and meters. This is just for the lols and perhaps and an encouragement to learn more about music theory. Have fun! How many modes are there in music? In a major scale, between which scale degrees does a tritone occur? Which of these is considered an odd meter? What function does the iii chord serve? What are the strong beats in a measure of 6/8 time? What is the purpose of a suspended 4 chord? What is another name for 4/4? What does 3/4 time usually indicate in a composition? Uhh... 3 beats per measure? Say you are in the key of B Major. What is the sixth scale degree? Which of these is considered a dissonant interval? Relative to the key of Eb major, what would an F minor chord sound like? What function would it serve? What are the weak beats in a measure of 4/4? What happens in a plagal cadence in regards to the chords? In a minor scale, which scale degrees from its major counterpart are lowered a half-step? What makes up a dominant 7 chord? What is the most important beat in 3/4 time? Finally, which chord tone is lowered by a half-step to make a major triad into a minor triad? Wich Vampire Diaries character are you ? by Rea T.
Quiz topic: How much music theory do I know?